Vision Homes is a highly regarded custom home builder in West Virginia. For more than 21 years, they have served the West Virginia, Pennsylvania and Maryland areas. 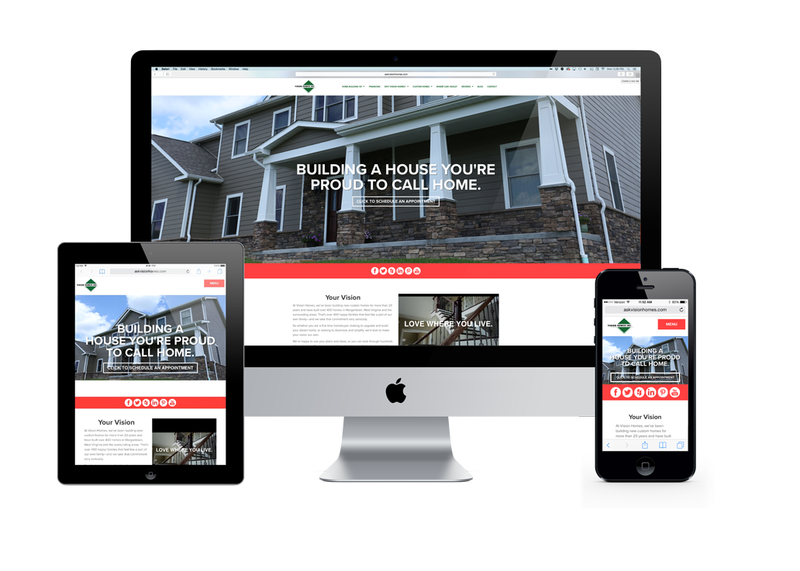 Vision builds a quality home and want customers to “Love Where You Live.” In 2013 InnerAction Media began developing a comprehensive inbound marketing plan to replace the ineffective traditional media plan they were using. We replaced their newspaper, radio, and real estate magazine ads with a full-fledged integrated inbound marketing plan. The high performance website now is ranking consistently at the top of Google keyword search, their videos and blog content are widely viewed and their new home sales can be directly attributed to our lead generation and lead nurturing processes.